In a dark corner of the shed hidden behind an old Canoe Polo kayak and some old kayak seat moulds I found some very used paddles from the 1980’s. Now I remember why I like the look of wooden Greenland paddles. A Greenland Paddle ? No thanks !!. That was what I remember of my first introduction to Greenland paddles in the 1980’s. I was paddling a Nordkapp at that time and just getting into long distance sea touring when I came across a couple of “salty old dogs” who were dabbling with GP’s they had built from plans sourced from magazines ( no internet in the good old days). However, I ended up owning a paddle made from these plans as well as one purchased from overseas. (Mitchell brand I think). Then arrived a new Kober Augsburg, followed by a Nimbus Capilano and a Linimat racing paddle, along with commitments in Canoe Polo, Marathon and Sprint racing for many years as well as instructing Sea Kayaking. Lots of other paddles came and went after that. 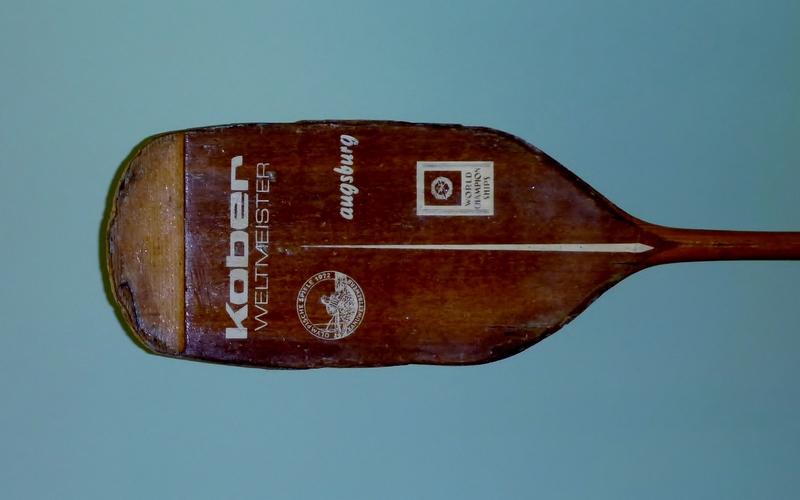 Kober Augsberg paddle in very used condition. Made in Germany. 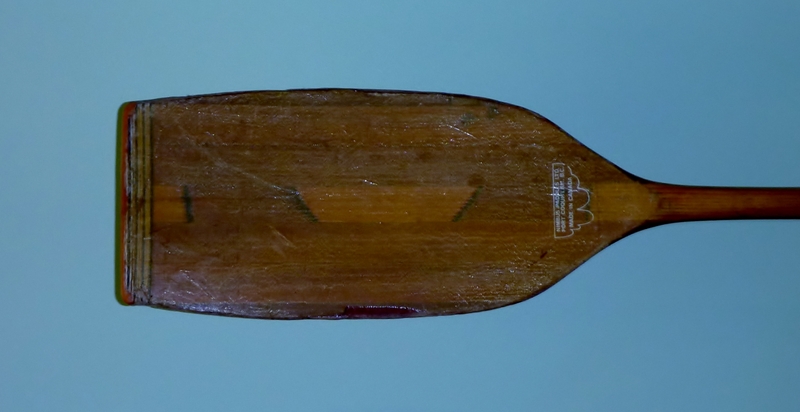 Linimat wooden racing paddle. Made in Denmark. 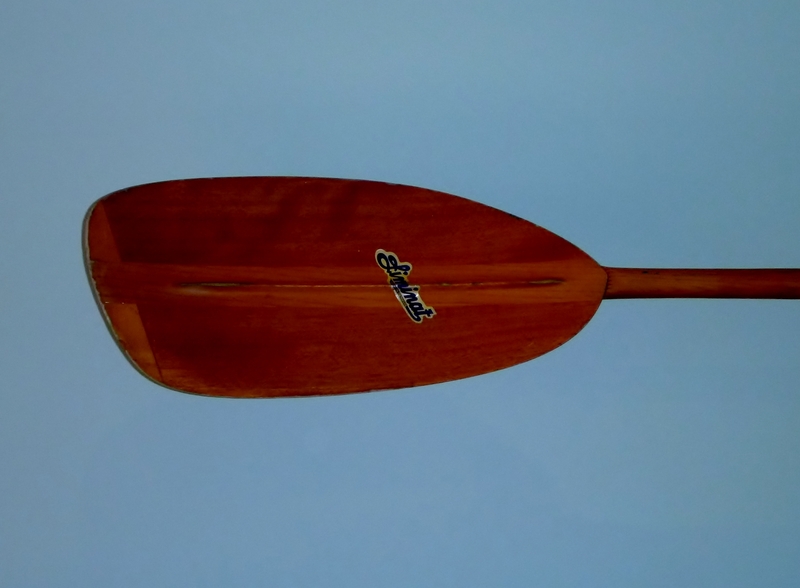 I now spend my days paddling or pedalling and the lure of the GP resurfaced using the Elver Greenland Paddle (made in Australia). I find that I like the feel of the GP and it seems to relieve my creaking joints. I even found rolling easier with the GP, maybe it’s just the longer surface area; and that’s rolling a Nimbus Njak kayak, not some low volume Greenland rolling kayak. I did take time to get used to the GP in heavier conditions and clapatis but it all seems pretty normal now, no matter which paddle. I like the idea that I can move my hands up and down the GP to change direction which is quite different from what I have taught others in the past. I worked out the approximate surface area of the Greenland paddle compared to my Feather brand Spoonbill paddle and found that they are actually very similar, which sort of surprised me a little as I always had it in my head that the GP was smaller in overall surface area and offered less support when bracing. I know that it feels that way when bracing sideways in a wave but maybe it’s just that overall it has a “softer feel” (is that a technical term ?). I don’t get into the “which paddle is better” arguement. Have both and have fun – I also have a ruddered and a skegged kayak !. I find them equal, just different. What next ? I have ordered a new Greenland paddle from a local craftsman made exactly to my dimensions, and I have found a box of old kayaking photos in the shed so maybe more laughs to come. This entry was posted in Kayak Technique, Kayaking Gear, Sea Kayak and tagged canoe, canoe sa, canoeing, elver paddle, greenland paddle, kayak adventure, kayaking, Nimbus, paddling south australia, sea kayak, south australia.. Bookmark the permalink.